The observations in the year 2018 regarding endpoint security risks’ state painted a severe image. The report was independently generated by Ponemon Institute. It resulted that not only are more enterprises experiencing successful Cyberthreats on their network endpoints but, the price of these compromises has now increased by 42% year-over-year. 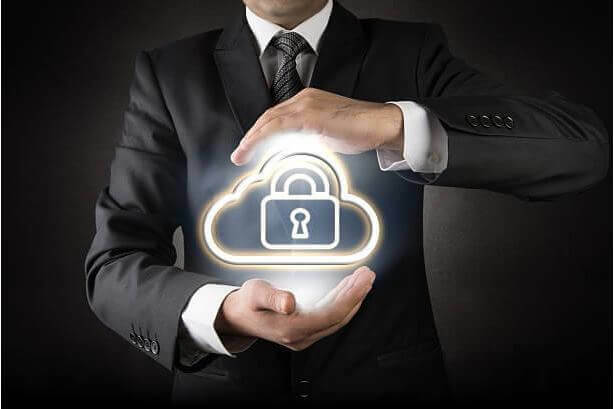 The cloud security threats faced by companies are modifying rapidly, and, for the first ever time, traditional online security measures are missing more threats instead of blocking them. Today in this post, we are going to highlight some key findings of last year state associated with endpoint security risks. After this, we are going to suggest cloud computing users that how can they can reduce endpoint security risks in the year 2019. 57% of organizations suffered from data breaches occurred because of the presence of an attack, which was missed by antivirus products. $440 price got lost per endpoint because hackers were successful in attempting their desired attack over targeted company. Business’s biggest attack took place where 64% of firms compromised their data. From the year 2017, there is 42% increase in cost of successful attacks. Yes, it’s true that the successful Cyberattacks cost industries $440 per endpoint in the year 2018. This was caused because of productivity loss, downtime, lawsuits, and infrastructure damage. Still, there are many cloud computing business users who do not realize the fact that ‘Blocking today’s threats demands for an extremely new approach to achieve endpoint security.’ In today’s Cyber security paradigm, it is essential to implement a threat intelligence, detection, and remediation system on the precedence level. There is no digital medium through which it could be possible to defend 100% of all Cyberthreats. We have committed this statement because none of the automated solution is present till today’s date, which can provide prevention against Cyberattacks due to human mistakes. Here the CloudCodes team is putting an effort to reduce endpoint security risks by suggesting some experts’ ideas for the same. Business users can go through them and learn how they can work securely on cloud for their global development? How many devices are currently connected with your business network? Who are the owners, owning those connected devices? Are those devices registered in company for business purpose? Answers to above-listed questions are important to have whenever firms introduce bring-your-own-device working pattern and IoT into the equation. Endpoint management centralization can help to reduce endpoint security risks by regularly enhancing data visibility – with change in time. Recall one popular statement – you can’t solve the problem, which you can’t see. Therefore, continuous data visibility is essential to have in a company to at least control, expose, and remove rogue devices. Reduce Human Errors At Any Cost – We strongly suggest enterprises to mold their employees in a way that ‘human errors get reduced up to maximum extent.’ By hook or by crook, it is important to reduce unintentional mistakes caused by employees in an organization because afterwards, the respective company is the only one who has to suffer the major consequences of employees’ mistakes. Whenever you are planning to deal with endpoint security risks in your business, the specter of ignorance, negligence, or common business process errors may haunt you. Any individual can be the reason for a critical mistake at any instant of time; or make decision of exposing data of business to take revenge (or any other reason). Of course, regular Cyber security training sessions should be conducted to educate employees with best practices to protect online content. The team of IT security have the right to restrict business workers from password sharing, strict the data privacy policies, enforce control on business data access, and bypass security protocols. Enterprises higher authorities should make it a habit of regularly communicating with their employees to periodically check their mindset and hence, a major step to reduce endpoint security risks. First of all, we will admit one fact that software and firmware updates annoy in the best of times. They are quite lengthy, which can disrupt ongoing business procedures before as well as after the update. In some situations, they could cause different kinds of problems in the future. Therefore, it is important for organizations to patch all the devices as soon as possible for reducing endpoint security risks. This helps in staying connected with the latest threat intelligence and remediation solutions. Whatever scenario suits you the best, we only want to say that it’s important to have a coordinated strategy to patch your devices.